We strongly advise against removing a column without a Structural Engineer performing an analysis and designing the proper modifications. The load path to the columns usually starts at the roof level, meaning that an error could jeopardize significant portions of the house. DO NOT take this information and think that it will tell you how to properly design for removing a column. It is intended only to answer the typical questions we get about this type of modification. Many homeowners seek to finish their basements, put a pool table or sectional couch in, or move an existing wall and discover a column in their way. Their first phone call is usually to an Engineer or Contractor and the first question is either “Can I just take this out?” or “How much will it cost to take this out?” Several times, this first question has been along the lines of “My wife said if we can take this column out for under $1000.00, I can put my pool table and bar in.” When it comes to structural modifications to a house, this is one of the most common. 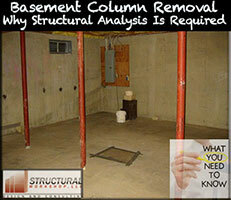 From an Engineering and Construction point of view, it is usually fairly simple to remove a basement column. There are very few situations where it is difficult to do. 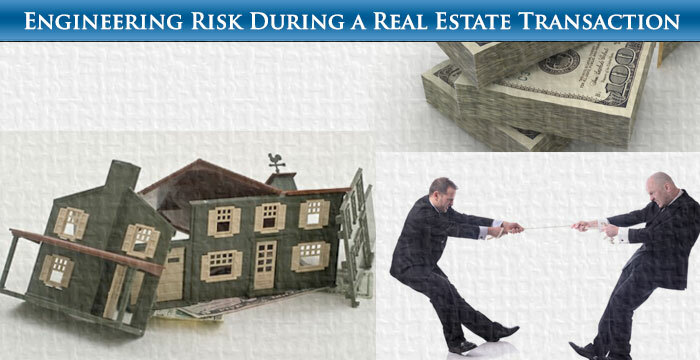 It is never impossible, but there are many variables that affect the cost, and typically decisions are made based on a cost/benefit analysis by the homeowner. In most cases, basements contain “Lally Columns”. These are concrete filled metal pipes that are resting on a concrete footing below the basement slab and have a metal cap plate that a main basement girder rests on. In general, the first floor framing and bearing wall above are supported by main basement girders. The girders are sized based on the loads on them and their span. The span is a much more crucial factor. In typical house framing, doubling only the load on a basement girder will double the stresses in it, while doubling only the span will quadruple the stresses. 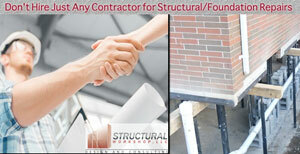 When you seek to remove a basement column, you generally are doubling the span of the girder. The first step is for an Engineer to visit the site. The loads on the girder must be determined and the size and span of the girder must be determined. The Engineer will also look at the sizes of the columns and for other conditions which may affect the analysis or design. In rare cases, the existing construction will be adequate if the column is removed. If this is not the case, several things need to be analyzed, and either reinforced or replaced. The girder itself must be either reinforced or replaced. Basement girders are typically dimensional lumber, engineered lumber, or steel I-Beams. Additional wood may need to be added, or most likely, the girder will need to be replaced with either engineered lumber or a steel beam. If a steel beam is existing, it will probably be possible to weld additional steel to reinforce it. In almost all cases, you will end up with a deeper beam than you had, meaning less headroom. If the existing girder is under the floor framing, it may be possible to install the new girder at the same level as the floor framing and gain headroom, but this will incur additional cost. The load on the remaining columns will be increased. If you look at the column you are removing and one on either side of it, the load that was shared by three columns is now shared by two. Round steel lally columns are not able to be reinforced so the columns will have to be replaced if deemed inadequate. The next step is to determine if the footings are capable of supporting the new loads on the columns. If they are not, they too will have to be replaced. 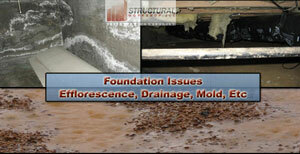 As you can see, there are many variables in what needs to be done in order to remove a basement column. It is impossible to determine what needs to be done without a proper engineering analysis. The best case scenario is generally only reinforcing the existing girder. The worst case scenario is generally removing the girder, three columns, and three footings, and installing two new footings, columns, and a girder. 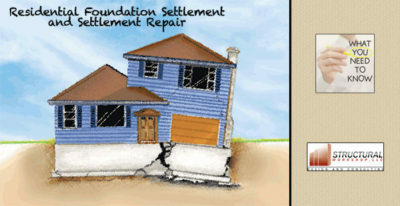 A repair plan for this type of work should always include specifications for supporting the framing above during the work.